We have reason to celebrate! WECREATE has been shortlisted as a finalist for The Best of Professional Services Brand of the Enterprising Hong Kong Brand Awards (EHKBA) hosted by the South China Morning Post. 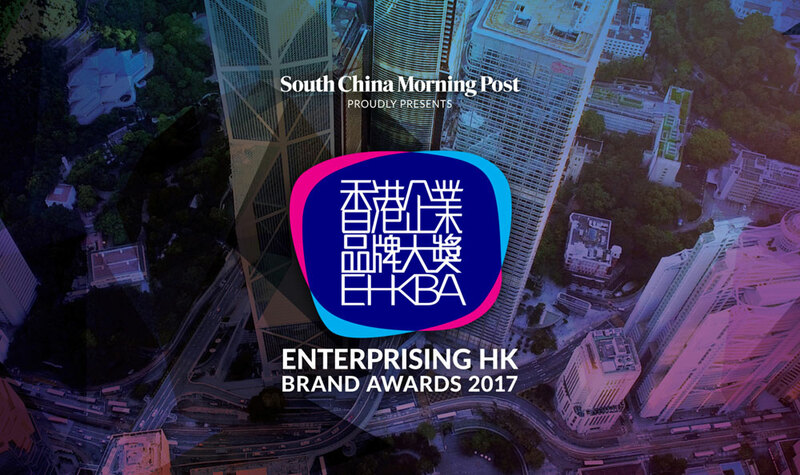 With the support of Hong Kong’s leading business associations and organizations, the Enterprising Hong Kong Brand Awards 2017 recognizes and celebrates the success, innovation, creativity and business excellence in sales and marketing among homegrown local brands. Conditions for nomination were to show exemplary brand building practices and development of breakthrough sales and marketing strategies to overachieve on business objectives. South China Morning Post created this platform for local companies in the field of arts and science to come together and showcase best practice to the world. In the category ‘Best HK professional Services Brand’ WECREATE is proud to be named alongside fellow nominees Hong Kong Airlines, Sinclair and AIM.Hong Kong to name a few. Since starting up in Hong Kong just over two years ago, WECREATE has grown into a full in-house team with over 15 talented members working across portfolios of local SME brands and large International corporations. We are thrilled to receive this nomination and will continue to work on building great on- and offline brands for our clients. Arthur is the motive behind advertising agency WECREATE. Founder, and since 2004 responsible for strategy, concept and design in the role of Creative Director.